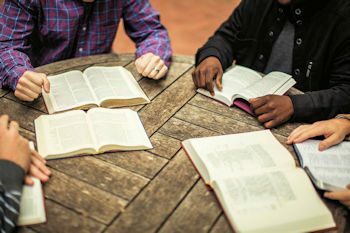 I am often asked by new Christians, “How should I go about studying the Bible?” Many pastors will just say come join one of their Bible study groups, and this is usually good advice, because there will be several people available to help newcomers get started or even take them “under their wing” as the study moves along. Some newcomers may feel intimidated or overwhelmed with this approach, but there are other less stressful ways to begin a study. Some people suggest purchasing a ‘study Bible’ and start reading from page one and continue all the way to the end. Of course, there are dozens of different ways to vary this approach. I’ve heard great arguments for reading the New Testament first, and just as many advantages for starting with the Old Testament. Then some people say read the book of John first; others say read Paul first. Some say use only “this translation” or “that translation.” It can be very confusing for a new Christian and that is before they even actually sit down and start their study. My own suggested approach is a bit different. Whether you are the new Bible student, or someone else that is coming to you for help, these suggestions are equally applicable. When inquiring about what Bible should be used, I generally say whichever one they have is fine. If after using it a while they don’t like it, then it is time to obtain a different one. At least they can then compare scripture styles in new ones against what they read in the old one, to help make a decision. If I am leading the study, I just use the same translation as they do, but if your library is not large, you may wish to direct them to a particular translation you already have. 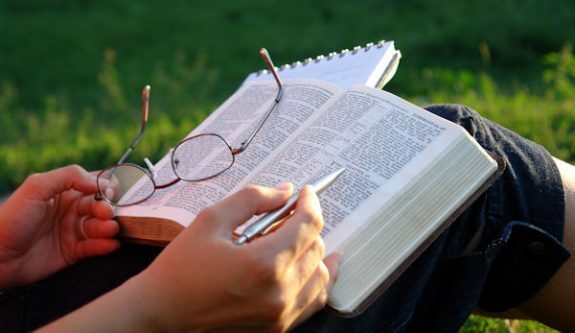 If the new student has no Bible or will be studying alone, I generally suggest the New International Version (NIV) or New Living Translation (NLT),1 because they use a balanced combination of general and formal writing, with an easy reading level.2 I do tend to lean more toward the NLT than the other. (Also see the Bible Versions Chart for other options, which is listed in ‘References & Notes’ at the end of this article. )3 When someone wants to read and study God’s word, I want to make it as easy and comfortable as possible for them to get started. I like to have a short talk with the new Christian student to get a feel of what she or he expects and what biblical subject or topic or character they are most curious about. The more you know someone, the easier it is to guide them in directions where they will find subjects of interest. If they are interested in God’s creation story, start in Genesis. If they want to know more about God’s commandments, start with the story of Moses. This way they get answers to the questions they have, sooner rather than later. But, if they are at a loss about where to start, I suggest something relating to an upcoming holiday or a current news item. As an example, if the Christian world is anticipating the approaching Easter holiday, you could start with the death and resurrection of Jesus — or if in the late fall, maybe the story of Jesus’ birth could draw interest. If there is a current news item concerning some horrible or evil situation, a study could be started about Adam and Eve and how sin and evil entered the world. Then again, sometimes the need for Bible study arises from some personal problem. If they have shared their situation, you can help them by finding relevant helpful scripture to start the study. Schedule a specific time for Bible study. Although not a great fan of author Joyce Meyer, I did like her comment that she purposely makes “an appointment with God” for Bible study every day.4 We make important doctor appointments, business appointments, and even appointments to get our car fixed, so we should also do so with our creator. I think regularly scheduled Bible time should become a lifetime habit. Make sure you have an appropriate place to study. It should be well lighted (at least where you sit) and comfortable. And it should be quiet; I find it really hard to concentrate in a place that is noisy or one with a lot of activity, but some of my friends don’t seem to have a problem with that. Pray! Just take the opportunity, before you open the Bible, to talk to God. Open your heart, thank him, and confess, if need be. Ask God to help you understand what you read and help you utilize your new knowledge in your own life as well as in others’ lives. Begin your Bible study time with love and in peace. As a Bible study progresses, either alone or with a leader, consider getting a few tools to help you. Have a note pad handy on which to jot down questions, references, thoughts, etc. This will allow you to remember things to check later and not have to interrupt the flow of your reading or discussion. Some people keep a journal to document their progress. Others just make a lot of notes along the margins of their Bible pages. One person I know, when studying alone, uses a small voice recorder. I tried that once and found it great to make quick notes. However, it was double work, because later I had to listen to the recording and make written notes, too. “All Scripture is inspired by God and is useful to teach us what is true and to make us realize what is wrong in our lives. It corrects us when we are wrong and teaches us to do what is right. God uses it to prepare and equip his people to do every good work” (2 Timothy 3:16-17, NLT). The Holy Bible, New International Version, (NIV), © 2011 by Biblica, Inc.; Holy Bible, New Living Translation (NLT), © 2007 by Tyndale House Foundation. Note: Employees at a Christian book store can usually offer advice about many translations. Merriam-Webster’s Collegiate Dictionary, 11th ed., (Springfield, MA: Merriam-Webster, Inc., 2003). Ray, I really enjoy all of your articles. Over the years I have tried so many times to add daily Bible reading into my life and found that I’m lucky to remember to pray each day and thank God for my wonderful body and my existence in this fantastic world that He has created. I stay “backed-up” with never ending responsibilities and also try to retain a list of things I would like to do if I ever get the chance. 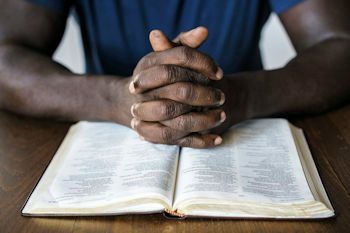 I’m hoping I can try some of your suggestions that you placed into your “How Should I Begin Studying the Bible?” article. Yes … These are great suggestions. Thank you. Hi, thanks for the kind comment. I’m happy you enjoyed the article and found some ideas that may help in your own personal Bible study. As humans living in a very busy and complicated world today, we all find it gets harder and harder to find enough time for everything we want to do.